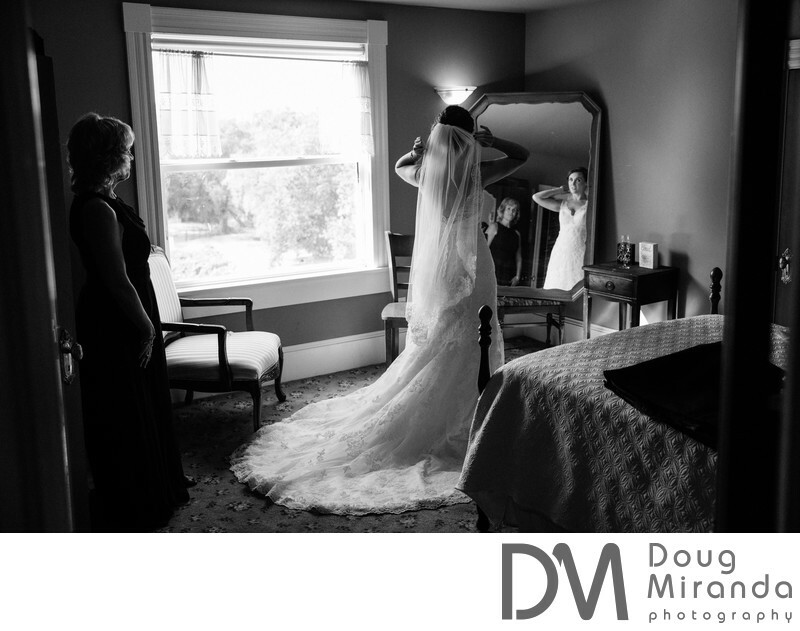 The bride is getting ready in one of the upstair rooms in the old victorian house that's on the grounds at the venue. Her and her mom just placed the veil into her hair. The bride is adjusting it while looking into the mirror to make sure it's in the right position. 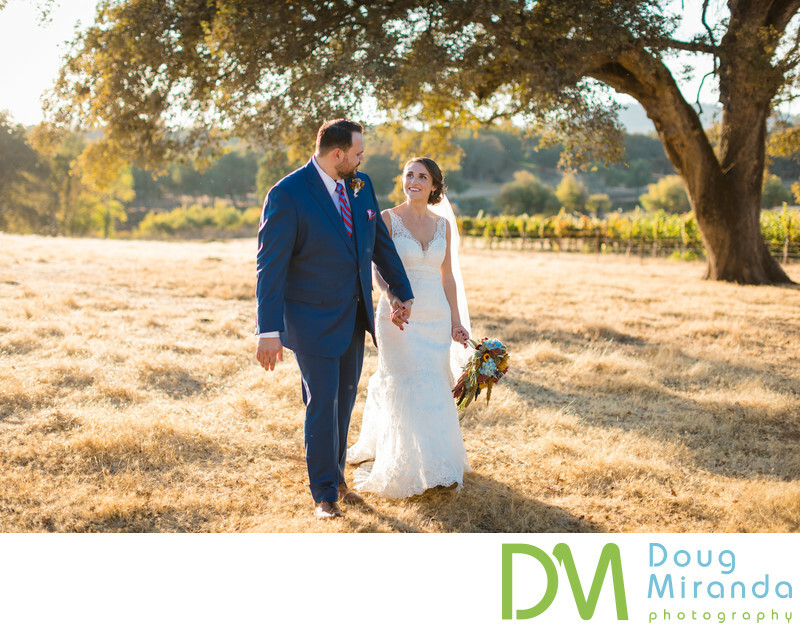 Such simple task on wedding days make from some breath taking photos. On site is an historic old Victorian house from the 1800’s that has been restored immaculately. This is the location for the bridal party to getting ready in. The house also servers as a prefect place to take photos at with it’s covered porch and lovely rooms inside the house. It’s also a great place for the bride and groom to cool off in during those hot summer days. Also on the grounds is the large Lake Vila that can be rented out separately during your event. This is a great place to stay before and after your wedding day. You can also host your rehearsal dinner at the Lake Vila.There also endless amounts of photo opportunities over by the vila.